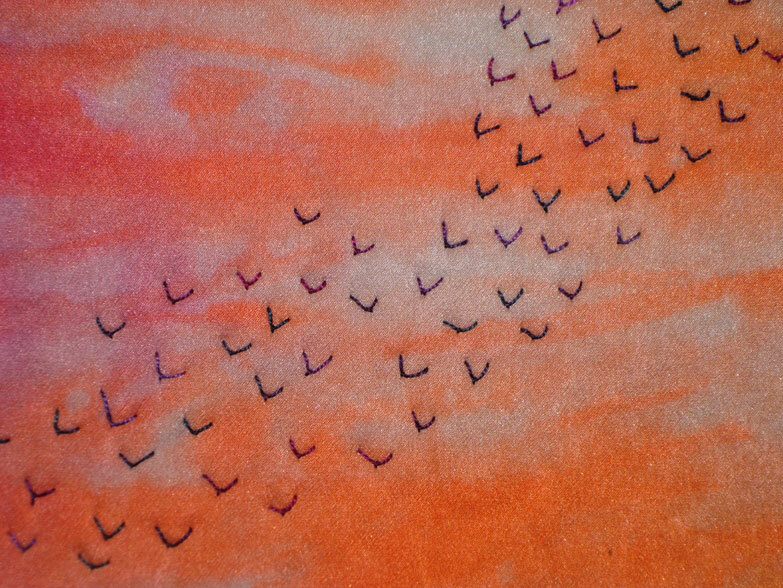 The Fly Stitch always evokes images of flying birds when I see it on the fabric surface. Maybe that’s why its called… the Famous Fly Stitch. I mean, doesn’t this look like a flock of flapping fowls? 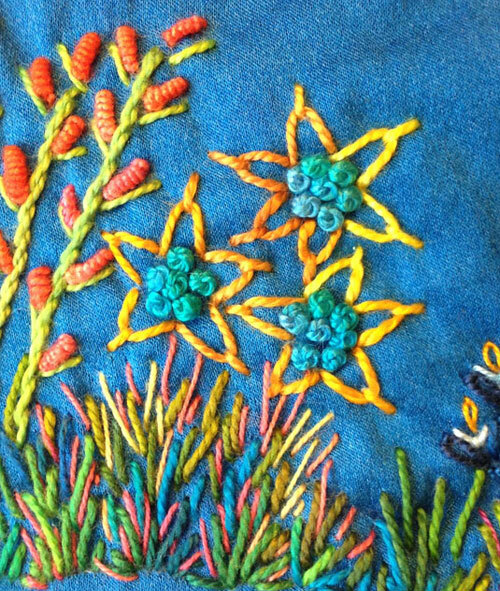 The Fly Stitch is an easy embroidery stitch. Use it as a single decorative element or, when grouped together, as a textural filling stitch. 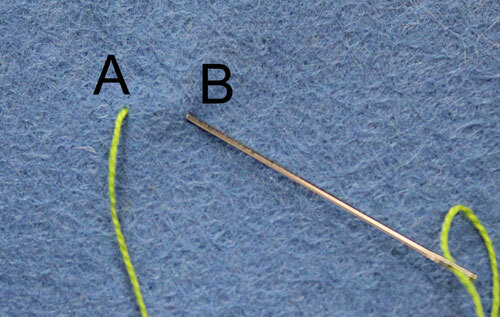 Think of it as the letter V.
Here’s how to make Fly Stitches: Come up at point A. Insert the needle tip at point B about 1/4’’ to the right of A. 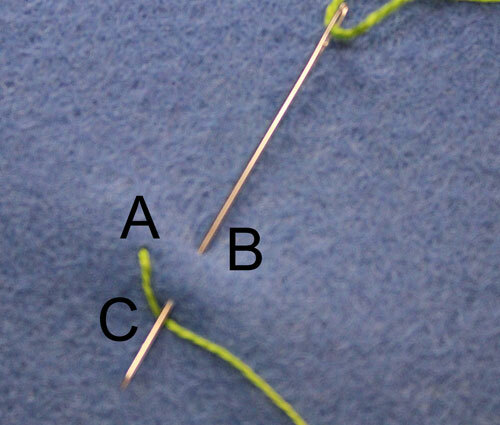 Bring the needle tip up about 1/4’’ down and midway between A and B at point C. Trap the thread coming out of A under the needle tip at C. Draw the thread through the fabric. 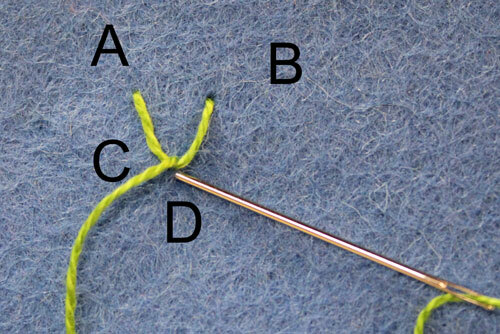 Insert the needle at point D just on the other side of the thread loop from C. Draw the thread through the fabric to make a V shape. 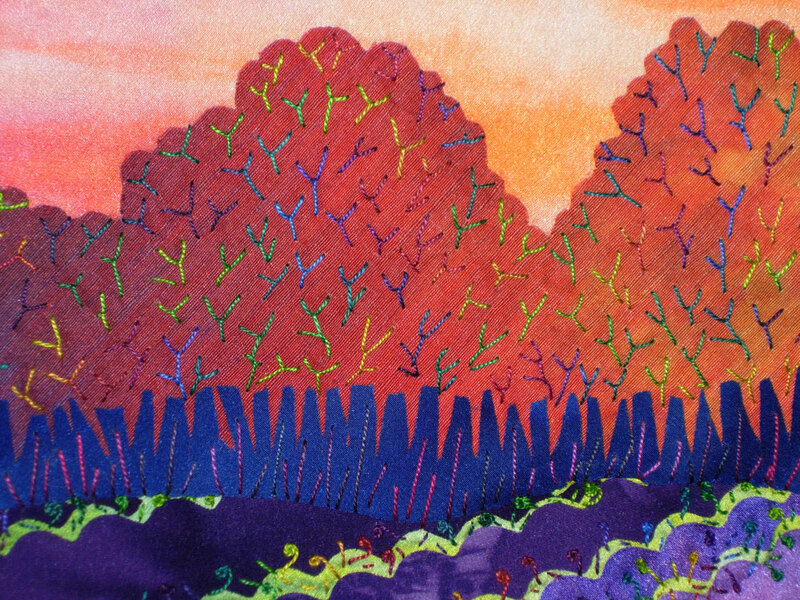 If you extend the bottom part of the stitch to make a Y shape, it looks like tree branches. Or surround a group of French Knots with Fly Stitches and you make a flower. Is there no end to the wonder of it all?